When you want the best employee benefits, you call on the experts. In this Experts series, we’ll introduce you to some of the great people at ConnectYourCare making significant contributions so our end users, clients, and partners achieve their benefits administration goals. In this post, you will hear from our very own, Nicole Williams, Senior Vice President of Sales at ConnectYourCare, and learn how her employee benefits expertise and career as a benefits broker continue to inform her work and benefit those that use CYC services. There’s no substitute for experience and knowledge. When it comes to the employee benefits industry, Nicole Williams has both in spades. Nicole has been in this business for over 20 years, beginning her career as a broker and has been focused on consumer-directed health care (CDH) administration for the past 12 years. She continues to have deep roots in the broker community – maintaining her CFC certification and serving as the Awards Chair on the Maryland Association of Health Underwriters (MAHU) Board of Directors. We sat down with Nicole to discuss her experience in the CDH industry, her suggestions for the future, and her biggest accomplishments. Can you please tell us about your experience and history in the employee benefits field? I have worked for 20 years in the employee benefits business. I started my career as a broker and attribute a lot of my success to introducing and consulting on consumer-directed strategies as a key differentiator to grow my business. In 2006, I joined Choice Strategies, a startup consumer-directed health care administrator, to build and grow a broker-directed sales strategy. I focused on bridging my success as an insurance broker in educating on the evolving world of consumer-directed health care account solutions to introduce these solutions to the broader broker market. The company experienced incredible success and growth prior to selling to WageWorks, where I had the incredible opportunity to further my knowledge working for a large national firm. Why did you choose to go into the benefits field? Funny, I didn’t choose this industry initially. My degree was in education and I worked a teacher for 5 years. But, I always had an entrepreneurial spirit and wanted to continue educating people. Fortunately for me, the health insurance industry gave me that opportunity. Once I found this field, I knew I was in the right place. I focused on strategizing and introducing innovative concepts and solutions to employers to help them deliver an excellent and financially sustainable benefits program. The complex world of delivering benefits at a sustainable cost has and continues to be a challenge that I’m proud to be a part of solving. Can you describe a significant project have you’ve taken on in your career and the impact it had on the organization? 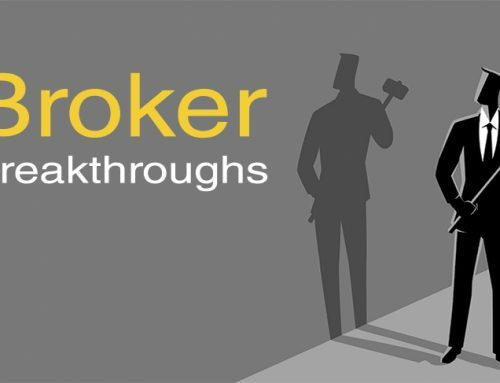 I am proud to have worked on the newly released ConnectYourCare broker platform, BrokerCommand, leveraging my years of experience working with the broker community. I worked with a team of former brokers here to develop BrokerCommand, and we made sure that we included and automated all the features you need to make more money and save time. There is an easy to use dashboard for renewals and client data, and producers I’ve talked to say they can now make actionable decisions in seconds. It’s a great platform if you haven’t seen it yet. What trends and/or capabilities do you think will determine the success and longevity of CDH companies moving forward? Where do you see ConnectYourCare going in the future? I think one of the biggest game changers in the industry this year are all of the incredible technological advances. Technology will truly differentiate vendors in the CDH market, especially when you are saving your customers time and money like we have been able to. For example, in addition to our ongoing commitment to building out the industry’s premiere broker service delivery model, we recently revamped our mobile app, myCYC, and the feedback from our customers has been tremendous. CYC Insights, which launched earlier this year, automates client and benchmark reporting that was previously done completely manually.That one was a big game changer for our clients! We’ve also released a new customer portal interface that aligns with the other technological innovations I’ve mentioned. We are heavily investing in our own technology and our clients and partners will see tremendous improvements in user experience and what can now be automated. Why did you choose to bring your expertise to CYC? I was drawn to ConnectYourCare because I saw such incredible opportunity to grow the broker and SMB market segment. I had heard a lot about the unique solutions that ConnectYourCare offered to the CDH market before I joined in the large group space in 2015. There was a lot of excitement about the potential of this industry and the timing was perfect for me to join the team. I was excited to jump in and bring our proprietary technology down market. Employers and insurance brokers, start working with Nicole and other ConnectYourCare experts now to design and implement better consumer-directed employee benefits.